This Saturday is Heritage Day, which means it's time to get out those tongs and braai! While we’re all a little bummed that Heritage Day falls on a Saturday this year, that’s no excuse not to celebrate! And what’s the best way to celebrate our South African heritage? With a braai of course! 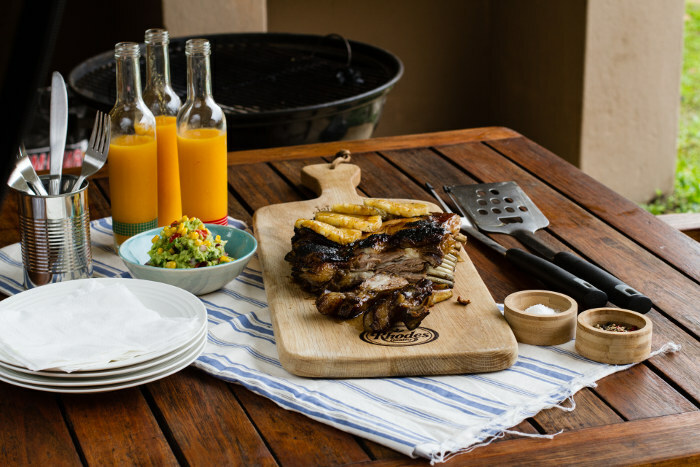 This year we’re turning up the heat with some exciting new recipes to try on the braai. 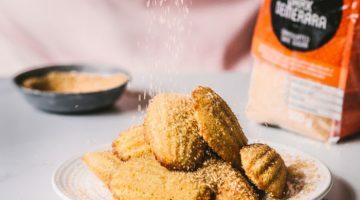 These traditional recipes, with a twist, will surely impress your guests this Braai Day and who knows – you might even be crowned the queen of braais (a girl can dream!) Here are 3 Delicious Braai Day Recipes to Try on 24 September! We all love a good braai broodjie – it’s the perfect starter for any braai and is a great way to keep hunger at bay. This delicious Gourmet Braai Broodjie recipe from Johan van Schalkwyk, newly appointed Head Chef at LUST Bistro & Bakery in Franschhoek, is an absolute must-try on the braai this weekend. It’s quick, simple, and oh-so-delicious! To lazy to make it yourself? The great news is this dish will be on offer to diners at LUST Bistro & Bakery from 23 September to 21 October 2016! 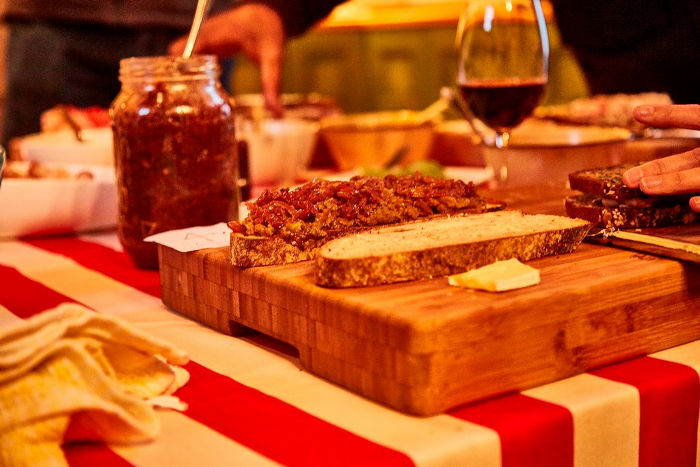 For R110 you’ll get a gourmet braai broodjie, side salad and a glass of Jess Rose. 3. Add the mince and cook until the meat starts to change colour. 4. Add the bread, apricots, almonds, cranberries, lemon juice, jam, chutney, and sugar. 5. Stir thoroughly to mix all the ingredients. 6. Close the sandwich and place in a “toeklap” (clamshell) braai-grid. 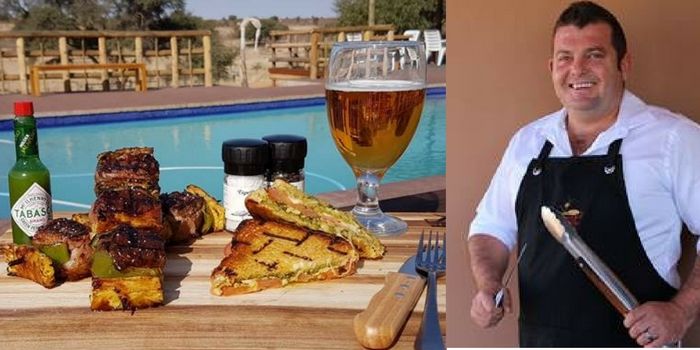 Forget chicken kebabs, this Braai Day we’re bringing out the big guns thanks to Sarel Jacobus Koortzen from Kgalagadi Lodge restaurant (located just 5km from the popular Kgalagadi Transfrontier Park). The Chef has created this delicious and very easy recipe kebab recipe using delicious game meat instead of boring old chicken. And the best bit? It’s wrapped in bacon – oh my! And, if you’re not keen on the bobatie braai broodjies above then try this basil pesto variety from Sarel’s kitchen! Pour oil in a pan and fry the onion until golden brown, add mushrooms and cook until the mushrooms soften and are cooked. Sprinkle with salt and pepper and allow slight cooling. When the onion mixture is lukewarm to cold, stir in the butter and let it cool. Prepare the fillet, marinate with the juice of 1 lemon, 80 ml olive oil and lots of coarse black pepper. Put fillet wheels down flat, with a sharp knife, make a cut on the side of the fillet wheel to form a pocket. Use a teaspoon to fill the bags with onions and mushroom mixture. Wrap fillet with the bacon strips and use a kebab stick to keep bacon in place. Repeat with all the fillet wheels, place the pepper and pineapple in between the meat. Grill over hot coals until medium or medium-rare; let it rest for 4 to 6 minutes. Spread the bread slices with butter and pesto. Put small amounts of cheese mixture between the outer two slices. Then place the bacon strips and tomato on the bread, sprinkle the remaining cheese mixture on the bread. Add salt and pepper to taste. While the kebabs are resting, scrape all the coals to one side. Place the braai bread on the grill. Prepare bread on low heat to let the cheese melt and it becomes gold brown. Of course, no braai is complete without a salad to go with it. Sure, men will joke that they don’t need salads at a braai but when it’s not there they miss it! If you don’t want to spend too much time in the kitchen whipping up a fancy-pants salad then this super easy mayo-free sweet potato salad from Rhodes is a real winner. With both crunch and a sweet chilli bite it’s the perfect accompaniment to any braai. 1. Boil the potatoes in water until just tender. 3. Place into a bowl and season with the salt and pepper. 4. Mix together the sweet chilli sauce and the enough of the oil to make a pourable dressing. 5. 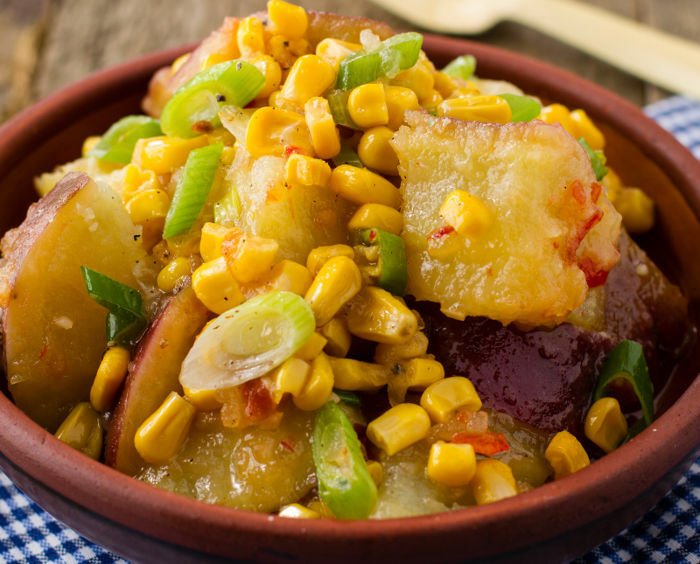 Dress the potatoes with the dressing and stir gently to mix so as not to break up the potatoes. 6. Top the salad with the spring onion and Rhodes Whole Kernel Corn, and a little extra dressing. Next post The 12 Apostles Hotel & Spa Launches First Ladies Night. Previous post 5 Pieces of Bridal Lingerie to Make You Swoon!